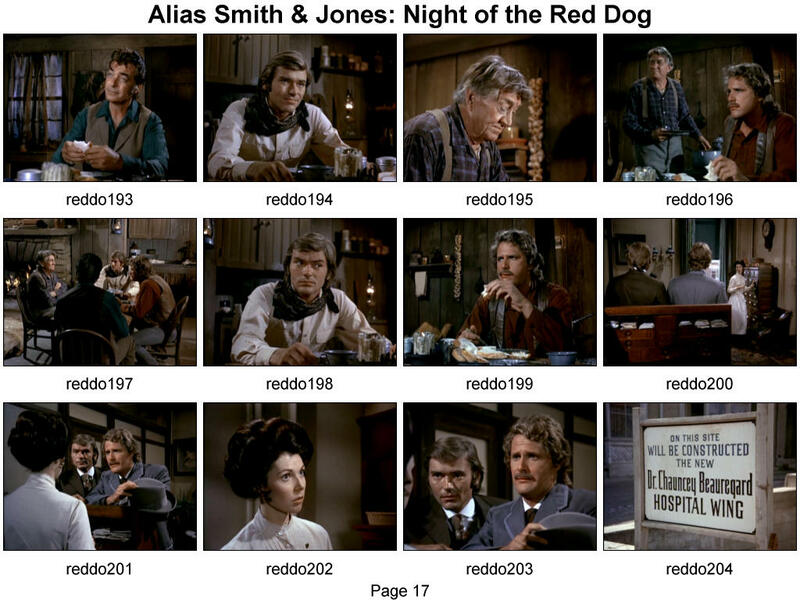 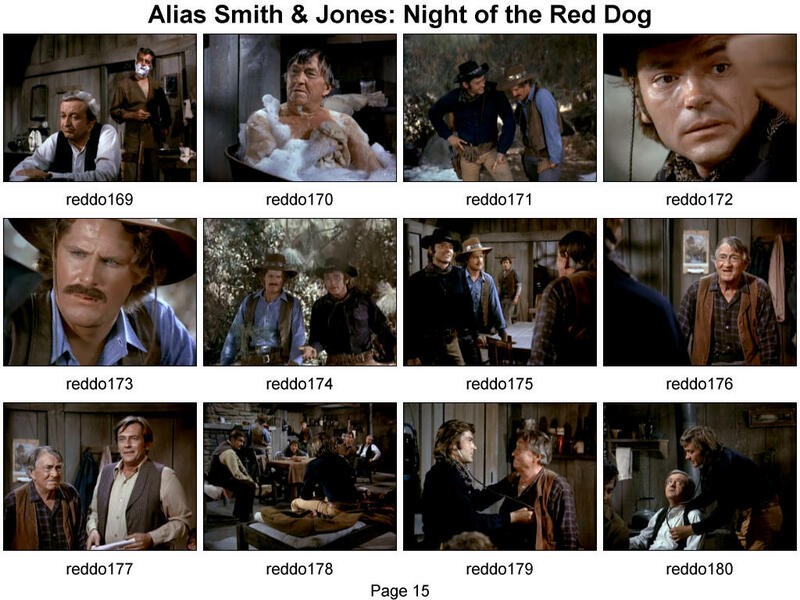 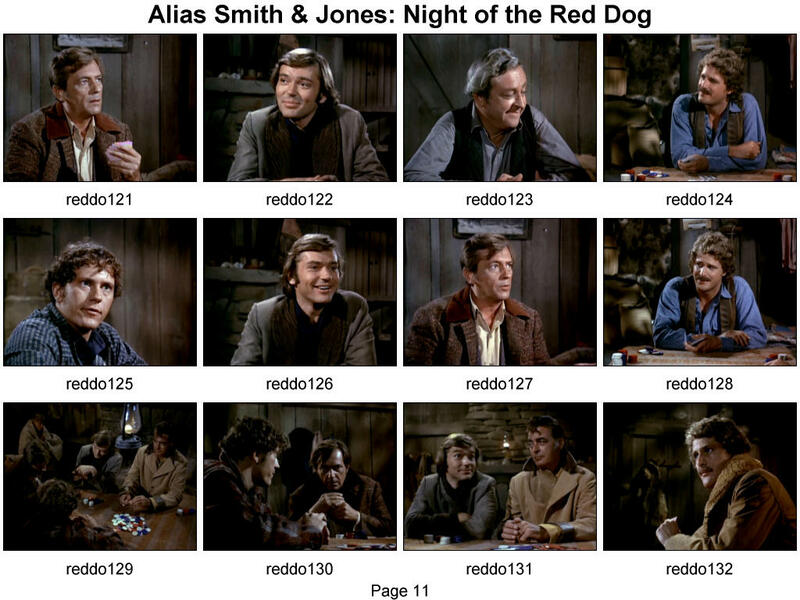 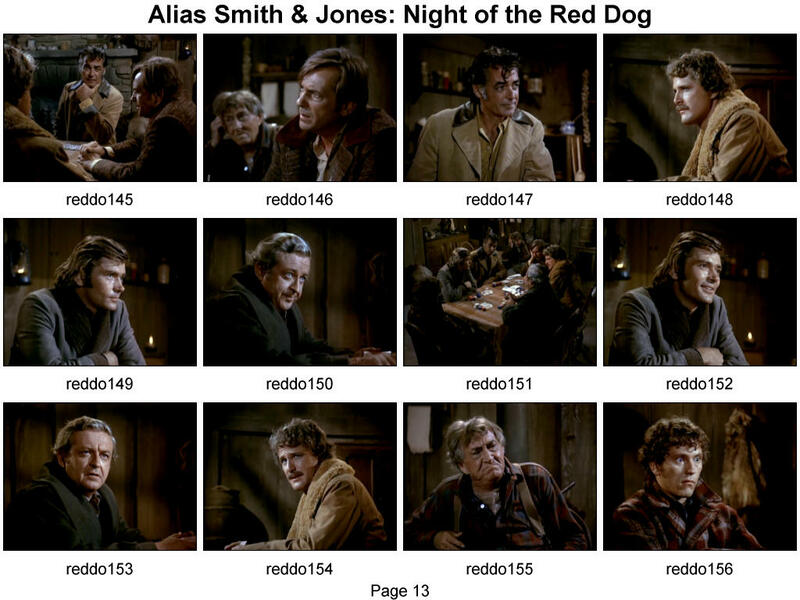 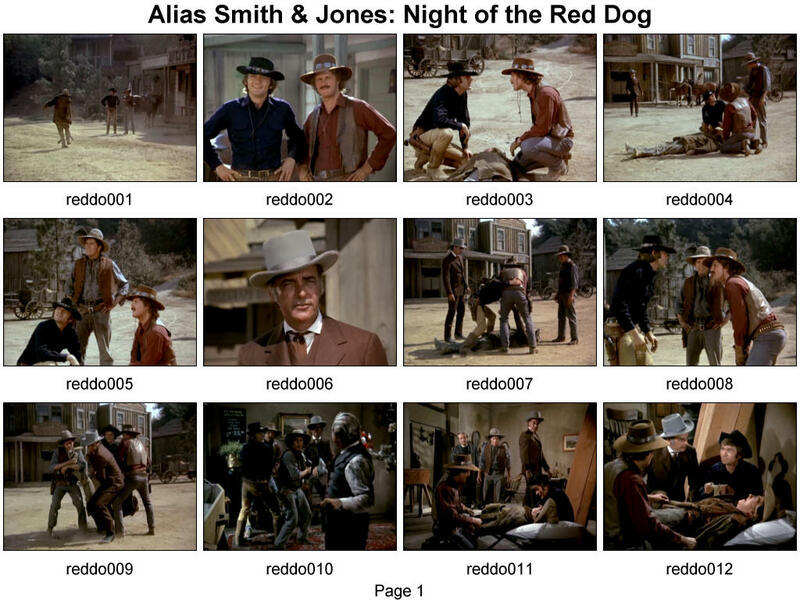 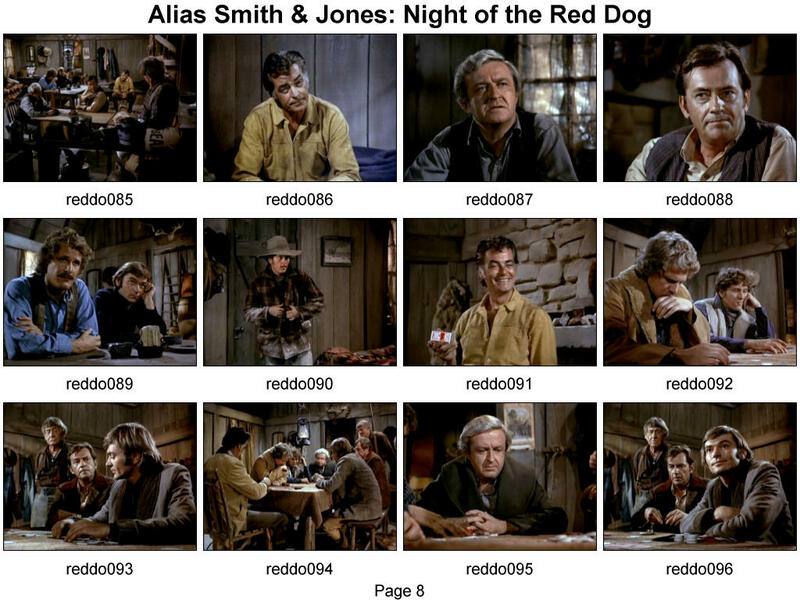 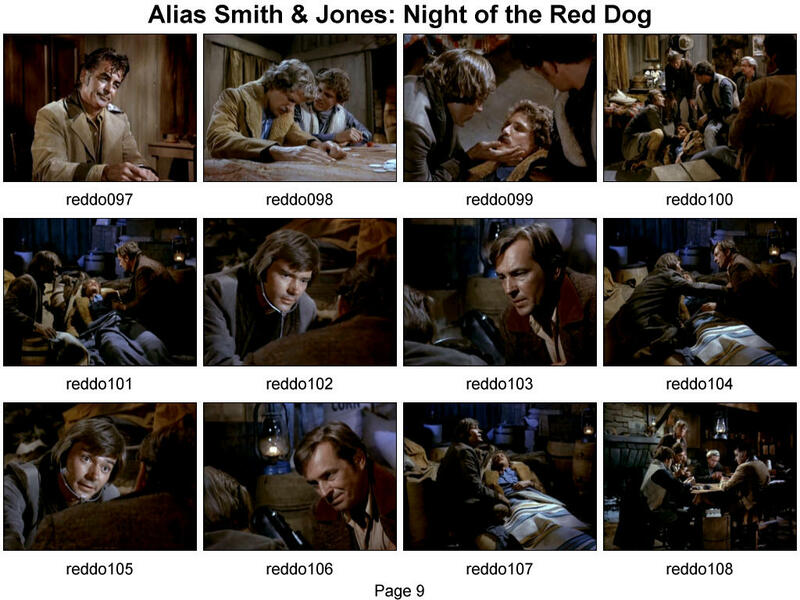 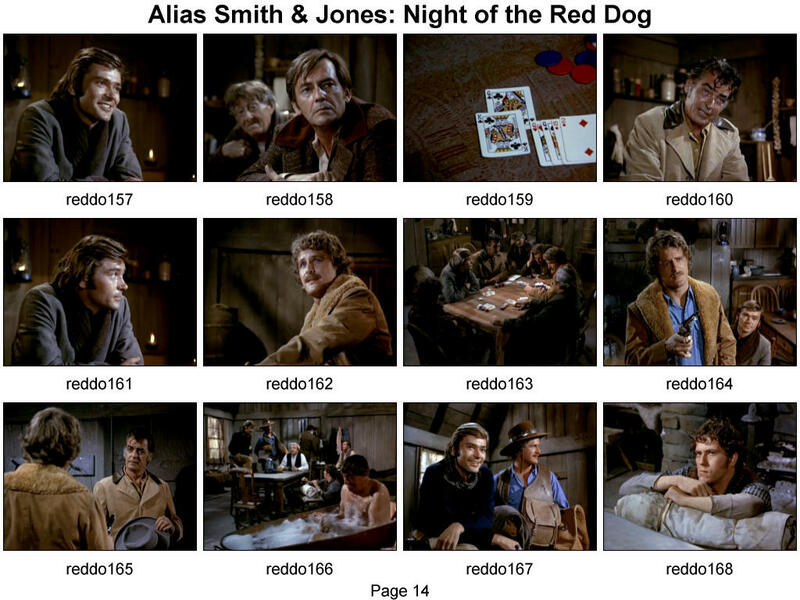 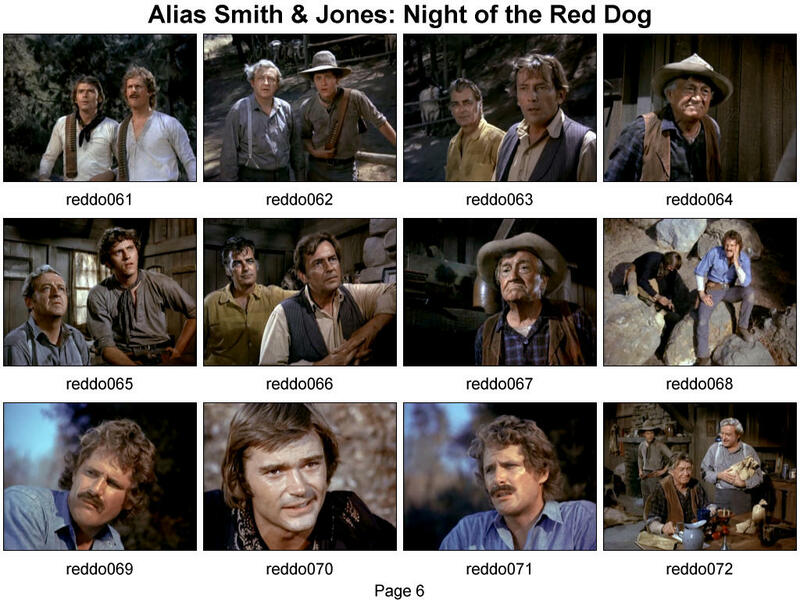 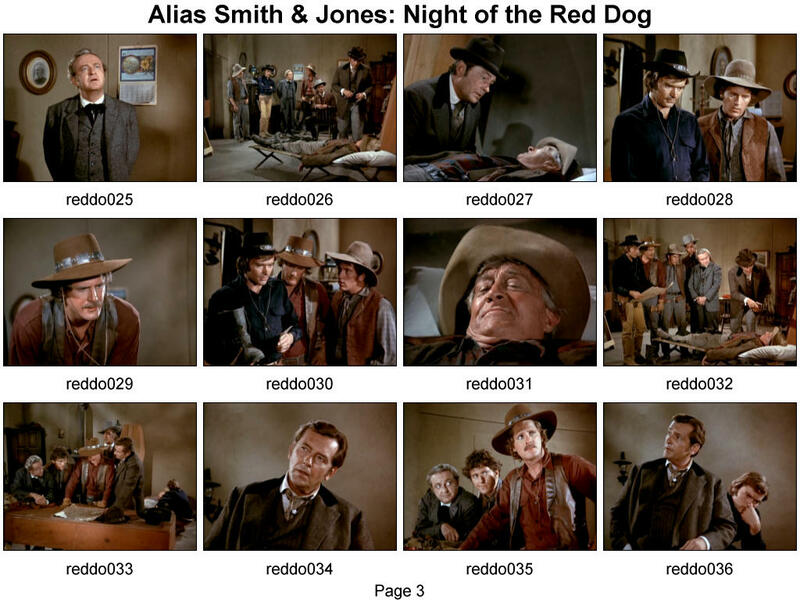 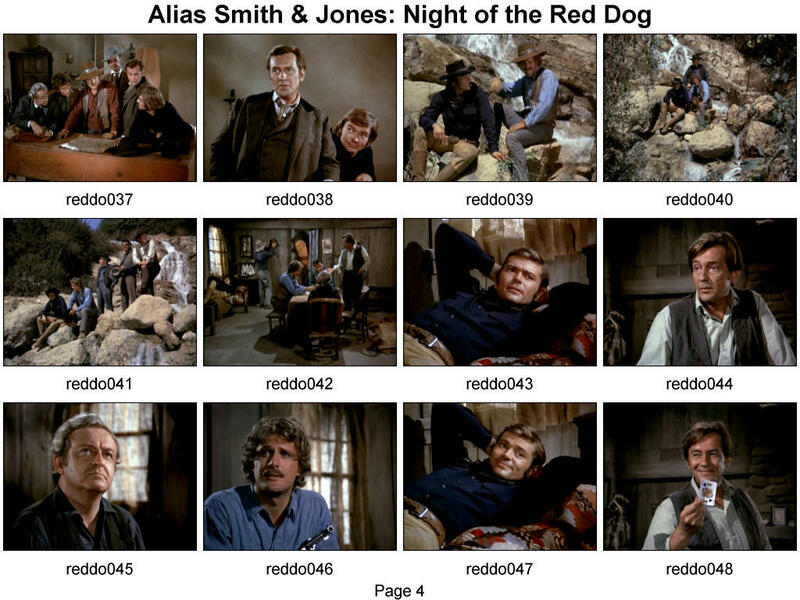 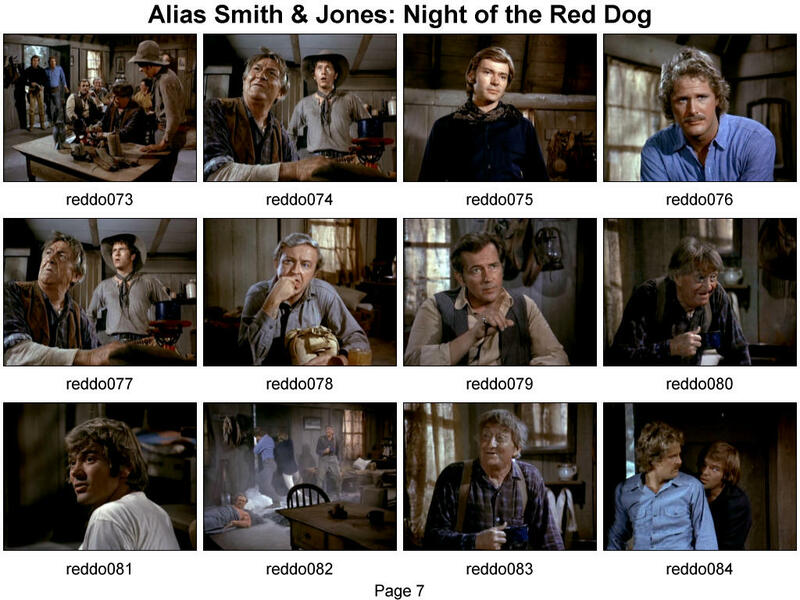 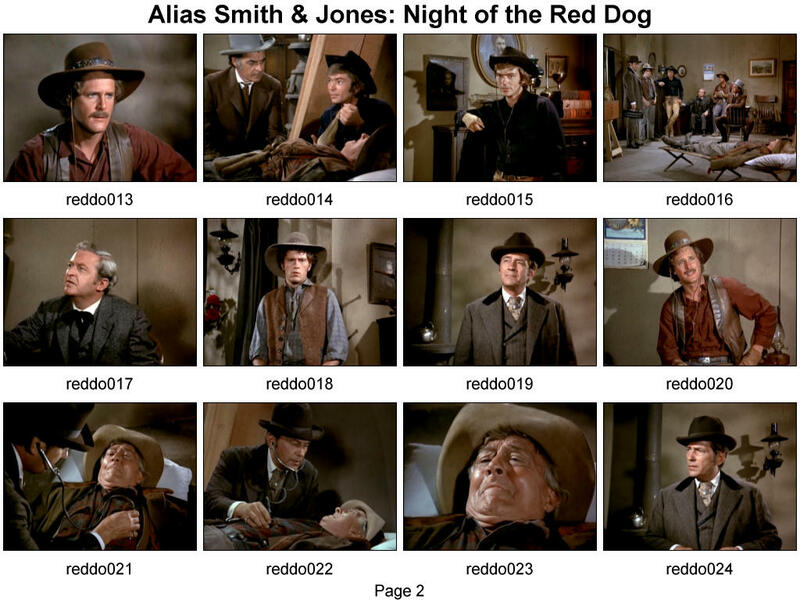 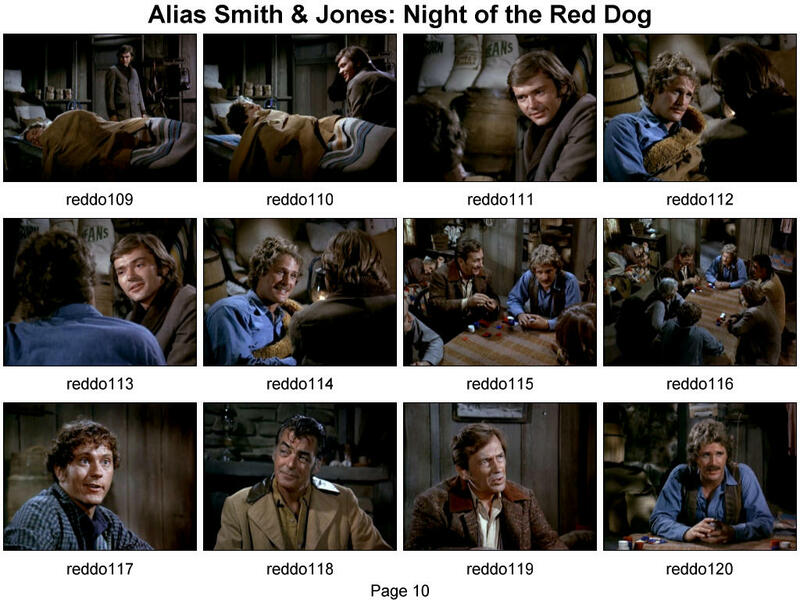 "Night of the Red Dog"
The following are images showing thumbnail collections of the frame captures. 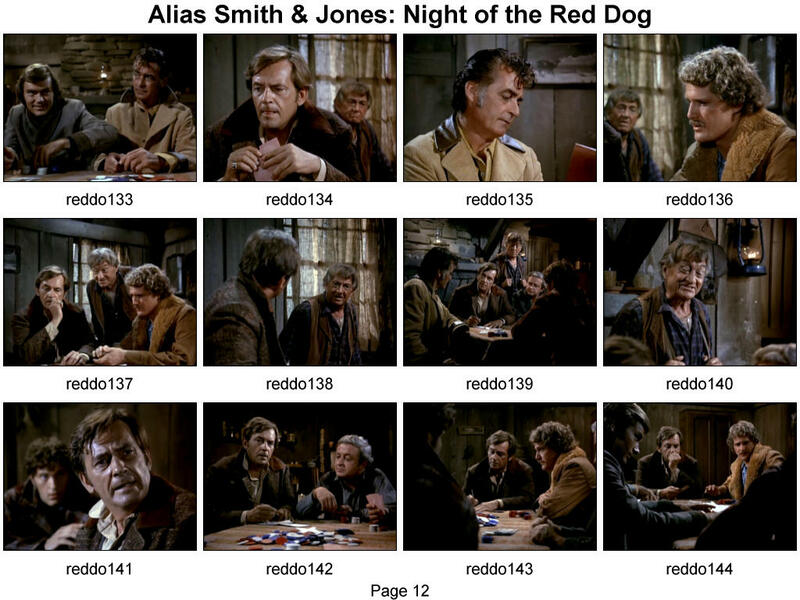 Each JPEG contains 12 thumbnails. 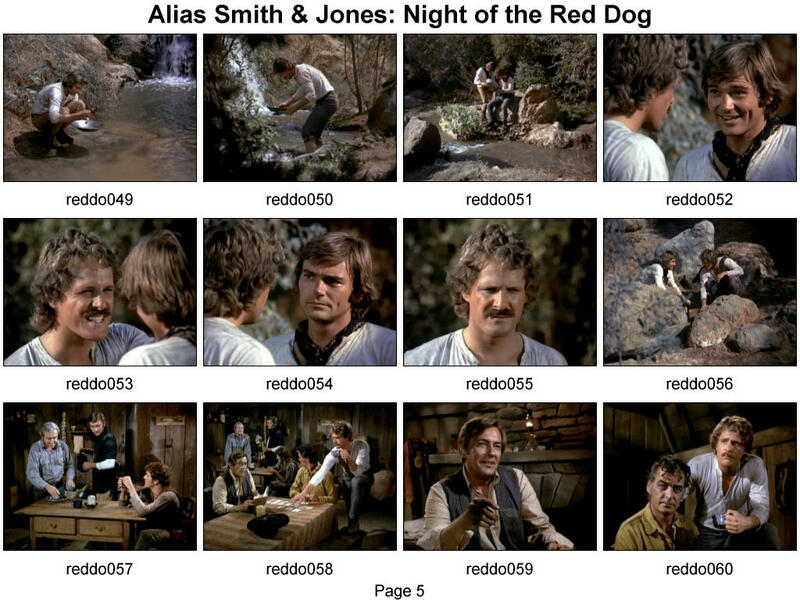 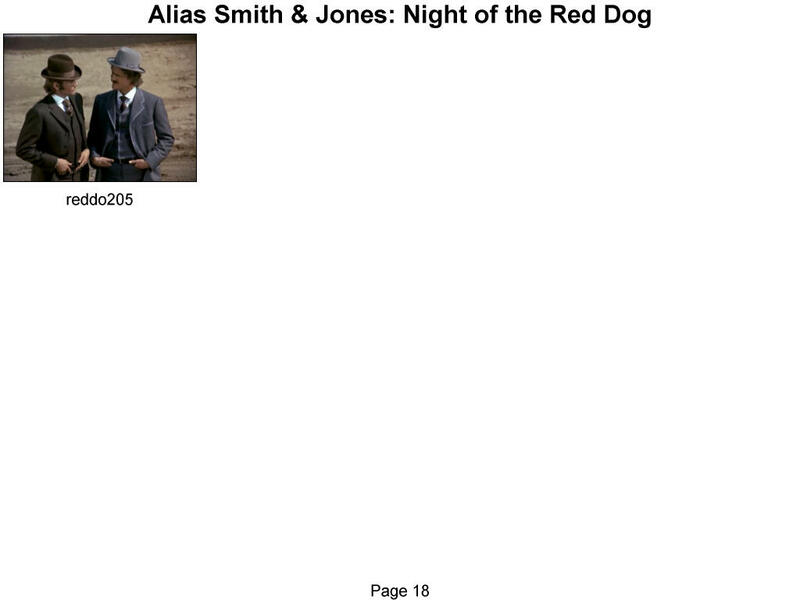 Alias Smith & Jones is Copyright © Universal Studios Inc.